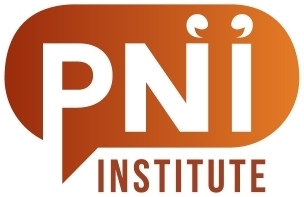 On our PNI Institute call on July 11, 2018, we talked about the use of PNI for decision support. Before the call, I had been poking around on the internet and found four frameworks or sets of criteria for talking about decision support, so we used them as a sort of scaffolding to talk about PNI for decision making. A passive DSS is a system that aids the process of decision making, but that cannot bring out explicit decision suggestions or solutions. 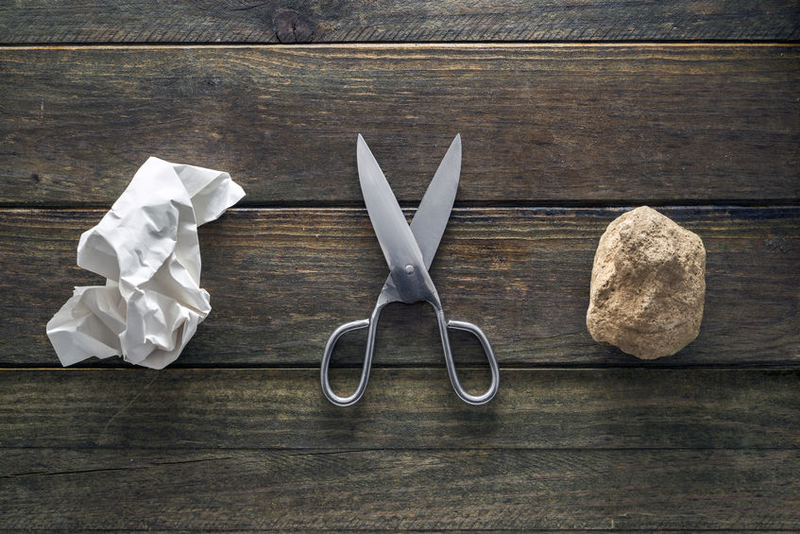 An active DSS can bring out such decision suggestions or solutions. We talked about how PNI can be used in any of these ways, depending on the goals and context of the project. I said I think it’s important to allow PNI to be flexible enough to work in all three cases (and not to, say, claim that you’re not doing PNI if you don’t include active decision support). A data-driven DSS … emphasizes access to and manipulation of a time series of internal company data and, sometimes, external data. We felt that PNI (again) can be any or all of these types, depending on goals and context. It also adds a type of DSS based on the exploration of experience — experience-driven DSS, you could call it. This mechanism can complement and interact with the other types of DSS, grounding the decision support process in reality as people have lived through it (not just theorized about it or talked about it). 3. 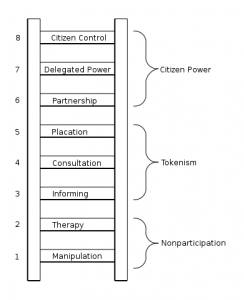 Next we wandered over to the Wikipedia page on Participation in decision making and arrived at Sherry Arnstein’s famous ladder of citizen participation (see image). We talked about how it’s hard to place any particular PNI project onto the ladder as a single point. We talked about how PNI projects can better be described as distributions of points than as single points, as various forces within the project (working separately and in concert) pursue agendas that travel up and down the space. My thinking is that it’s most useful to use this ladder as a description of a thoroughfare, or arena, or concourse, or playing field. The level of ambition of the initiators, the context and the participants. We had a lively discussion about these ten dilemmas (some of which don’t seem much like dilemmas). As a result, we created a set of questions anyone can use at the start of a PNI project to talk about how the project should be shaped. Of course, these questions would be most useful when the main goal of the project is decision support, because they come from considerations of including people in decision making; but they might be useful in any project. In this project, how is participation the answer? How is it the problem? What is the ambition of each group involved in this project? Is there ambition that comes from the context of the project? What about the project itself? “Participation works best when it is not needed.” What does that statement mean with respect to this project? What mixture of structure and freedom would you like to create for this project? How do you see time in this project? How would you like to structure time (or not structure it)? Look at Arnstein’s ladder of participation with respect to this project. What forces or factors do you see in the project? Where are they located on the ladder? Are they moving? In what direction? What kind of result do you expect to come out of this project? What would be a non-result? What would be an acceptable result? What would be unacceptable? What would be a success? What would be a failure? Tune in to listen to the call.